When justice is for sale, every jury has a price. In Biloxi, Mississippi, a landmark trial against a tobacco company begins. There are hundreds of millions of dollars at stake and soon it swerves mysteriously off course. The jury is behaving strangely, and at least one juror is convinced he's being watched. Soon they have to be sequestered. Then a tip from an anonymous young woman suggests she is able to predict the jurors' increasingly odd behaviour. Someone has a plan. But who? And, more importantly, what do they want? 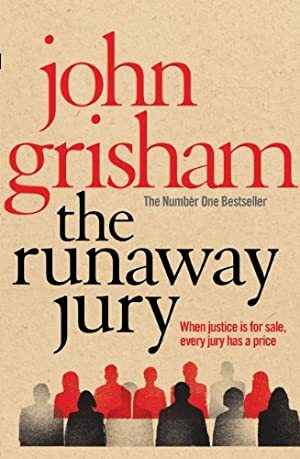 Log In to track John Grisham on eReaderIQ. to be notified each time the price drops on any book by John Grisham. to stop tracking John Grisham. We started tracking this book on February 21, 2011. This book was £6.07 when we started tracking it. The price of this book has changed 79 times in the past 2,985 days. The current price of this book is £3.99 last checked 2 hours ago. The lowest price to date was £0.99 last reached on April 14, 2019. The highest price to date was £6.07 last reached on February 21, 2011. This book has been £6.07 one time since we started tracking it. We last verified the price of this book about 2 hours ago. At that time, the price was £3.99. This price is subject to change. The price displayed on the Amazon.co.uk website at the time of purchase is the price you will pay for this book. Please confirm the price before making any purchases.